Grocery shopping on a budget can be tricky… Especially when you have picky kiddos and you’re short on time. And let’s be honest– No matter how much you love them, Ramen noodles and PB&J sandwiches can only get you so far. 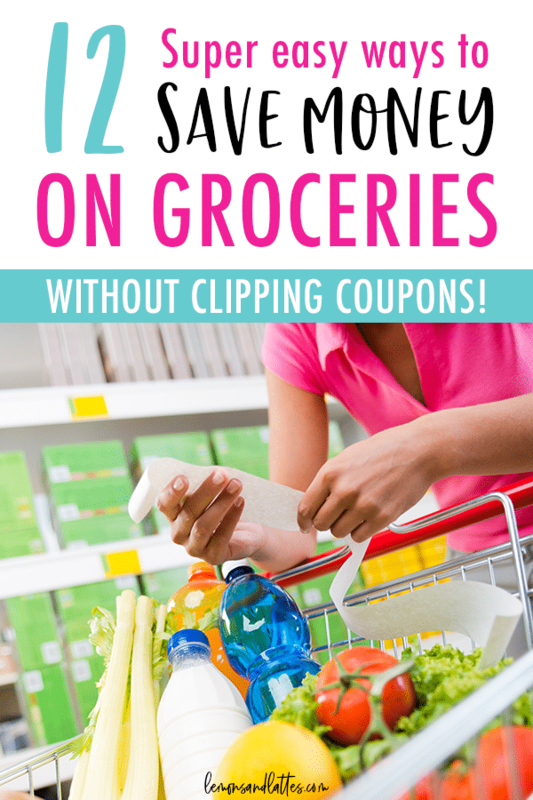 Over the past few years, I’ve picked up a few tips that have helped us save money on groceries. 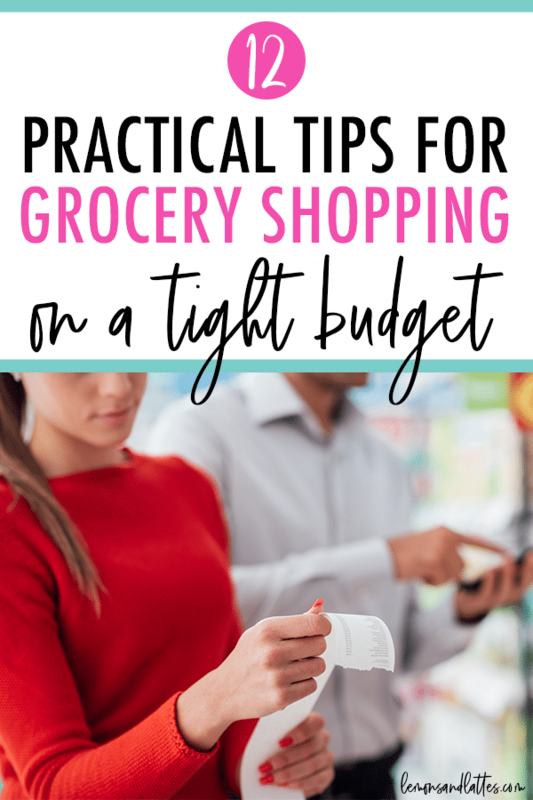 Any time I start to feel our grocery budget creeping, I always revert back to these same key tips! What should a grocery budget be for a family of 4? Before we dive into the tips, do you know how much you should be spending on groceries each month? This FREE workshop will help you determine your grocery budget and show you some practical ways to lower your grocery bill! It’s totally possible to keep dinners quick and easy without having to spend the extra money on convenience foods. The way you do that is by planning ahead. Now, you don’t have to plan out every morsel of food for the week, but I highly recommend at least having an idea of what you will have for dinner. Investing in a slow cooker because there’s nothing better than setting it and forgetting it! Quick and easy stir-fries – We love PF Chang’s sauces! Next, planning to use food items you already have in your fridge, freezer, and pantry is an easy way to save when you’re grocery shopping on a budget. Here’s a real-life example: This past week I realized we had frozen chicken thighs in the freezer and parmesan cheese in the fridge. The only thing I had to grab at the store to make our favorite crockpot chicken parmesan was a few potatoes and a pack of green beans. The times I’ve gone to the grocery store without a plan and without a grocery list are the same times I’ve walked out gripping my receipt with wide eyes wondering how it could cost that much for 5 bags. 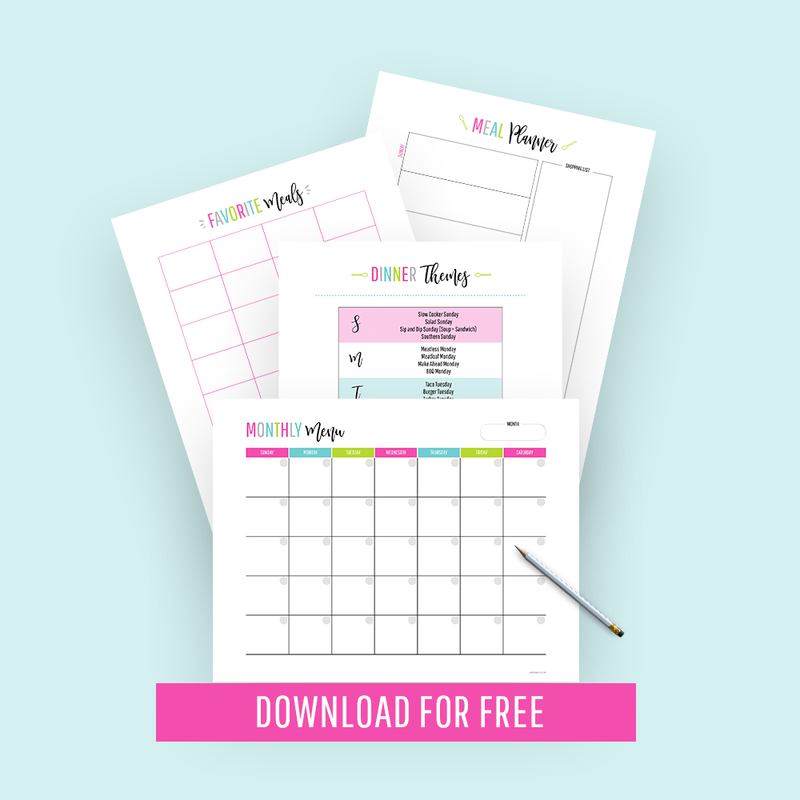 Making a list helps you avoid buying extra things you don’t need and helps you remember the things you do need! This is one of the best tips for grocery shopping on a budget. It’s much cheaper to cook at home than it is to eat out or only buy convenience foods. Don’t let that scare you if you’re not the cooking type or you’re worried that you don’t have time to cook. You don’t have to spend hours in the kitchen. Most of the meals I make only take me about 30 minutes or less of prep time. I’ve found that I can whip up a quick stir-fry while I have rice cooking in my rice cooker faster (or just as fast) than I can bake a pre-packaged meal from the freezer section. If you really don’t enjoy daily cooking– You could also set aside one day to do it all and enjoy freezer meals the rest of the month! There’s always a way to make it work for you. Do you ever spend money on those pretty fruit or vegetable trays? How about the pre-packaged salads? It’s usually cheaper to buy the produce that needs a little TLC. I also think it tastes much fresher when you chop it yourself at home. It only takes a few extra minutes on a Sunday to wash and chop all your produce and separate into glass storage containers for easy access during the week. Next, there’s a reason Whole Foods is nicknamed “whole paycheck.” I love it, but I’m not afraid to admit that it’s really not the most budget-friendly place to shop. So, what is the cheapest grocery store? This will vary depending on where you live, but usually you will find cheaper prices at Aldi, Costo, Trader Joe’s, etc. You can also check your local farmers market. If you’re a regular and you get to know the farmers, you might snag a great deal– especially if you buy in bulk. All major stores have a weekly ad. Most can be accessed online or through their app, so you don’t even have to go to the store to pick it up beforehand. If you don’t have the time or the patience to scour your store’s weekly ad each week, The Daily Dinner will do it for you! I’m a huge fan of shopping online whenever possible– and yes, even for groceries (especially pantry items). And it’s for the simple fact that you can easily shop around for the best deals and shop through cash back sites like Ebates. If you ever buy your groceries (or anything for that matter) online, Ebates will give you back a percentage (usually 5-12%, but varies between stores) of your total purchase. Sign up for free and start earning cash back! When you’re grocery shopping on a budget, using cash back apps is a no brainer! Ibotta is an app where you can receive cash back by submitting your receipts and bonuses by referring your friends to the app. Sign up for Ibotta here or use code spirwjo and get a $10 welcome bonus after your first rebate. Ditching soda will free up quite a bit of room from your grocery budget. Soda isn’t cheap and it’s packed with unnecessary calories and added sugars. If you drink 3 sodas per day (one with each of your meals), that’s 21 sodas per week for one person. Adds up pretty quickly, right? You don’t have to go full on vegetarian or vegan, but 1 or 2 veggie meals per week can definitely help you save when you’re grocery shopping on a budget. Finally, when it comes to fruits and veggies, fresh isn’t always better. I only pay about $1 for a pack of frozen green beans. Once thawed, they taste just as good as paying extra for the fresh ones. I’ve thrown them in the slow cooker, boiled them, added them to sheet pan meals, etc. Sometimes, frozen veggies are actually better than fresh because they are flash-frozen right after they’re harvested (source). Do you already do some of these? What are your favorite tips for grocery shopping on a budget? Great tips! Never knew about the Walmart app. Thanks!